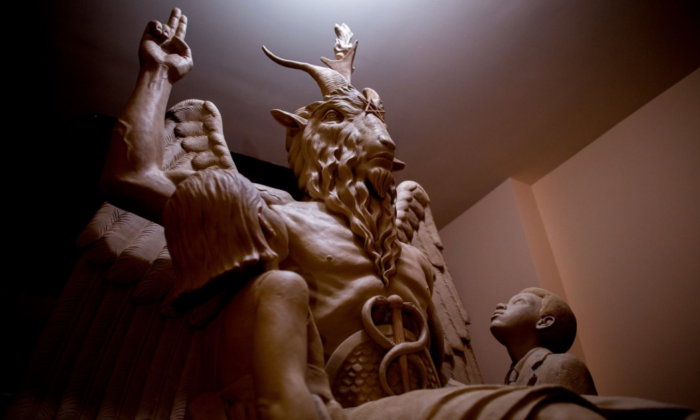 The Satanic Temple (TST) is suing Netflix and Warner Bros. for US$50 million for using its goat-headed deity Baphomet trademark in the Netflix series “Chilling Adventures of Sabrina”. In a court document seen by Marketing, TST accused Netflix and Warner Bros. of “copyright infringement, false designation of original, false description and forbidden dilution under trademark dilution, as well as Injury to Business reputation”. According to TST, the deity statue used was misrepresented in the show. “By misappropriating TST Baphomet with Children (which is a registered copyright and famous mark of TST) to publish this false and defamatory depiction of TST, Defendants have engaged in three classes of wrong: copy right infringement (Claim 1), trademark violation (Claim 2), and injury to business reputation (Claim 3),” it said. TST also said that Sabrina Series depicts the evil antagonists in conformity to the “Satanic Panic” conspiracy theories from the 1980s. TST also posted on its Facebook page against Netflix’s unauthorised use of the deity. According to TST, the Baphomet is a goat-headed, angel-winged, hermaphroditic (having both male and female features) deity of antiquity. Baphomet represents a conciliation of opposites. Baphomet is neither human nor beast, neither male nor female, neither angelic nor demonic. Simultaneously, Baphomet is all of these. Baphomet historically was believed to have a Sabbatic Goat’s head placed on the body of Lilith, a figure from Jewish mysticism sometimes considered the goddess of the night. The lawsuit also mentioned that TST does not promote evil and instead holds to the basic principle that undue suffering is bad, and that which reduces suffering is good. Satan, for TST, is a literary figure symbolic of the eternal rebel in opposition, rather than the personalisation of evil. To TST, “Satan” is the literary Satan, meant to be a rebel against God’s authority, rather than an evil being. The accident-prone spots alert is a unique combination of two features in Waze – big data analytics and advertisement placement fe..